As a precision CNC machine shop in Hillsboro, our team at API/AMS understand the incredibly fast pace the manufacturing industry continues to set. Keeping up with the demands of your clients requires staying up-to-date on the latest advances in manufacturing, while still producing the highest quality products possible. To keep your current customers happy, prevent your profits from shrinking and find new clients to maintain your business’ growth you need a competitive edge. Precision machining can offer you that edge over the competition, and integrating it into your existing workflow is much easier than you might think, especially when you contract a company like API/AMS that specializes in this type of advanced manufacturing. Still not convinced? Here are just a few of the advantages your business can receive by incorporating and outsourcing precision machining into your existing business model. After all of the key specifications and requirements have been entered into CNC machines, the automated precision machining process begins. With a computer in control, the chance for an error to occur is significantly lower when compared to a human machining counterpart. By choosing to outsource this type of work, you avoid needing to recruit and hire the type of highly skilled staff that’s required to operate this type of machine. Subtraction ranks as one of the core concepts behind precision machining, which provides businesses with the incredibly potential for reducing material waste from the start of a product all the way to the finish. CNC precision machining works to reduce the material costs related to waste that occurs due to human error. It’s also possible that a contractor like API/AMS may even already have plans to buy the materials your project needs in bulk, and be willing to pass on these saving to you. Precision machining using CNC machines creates the consistent output of products that meet the highest standards of quality. Consistently producing products that always meet the needs and exceed the expectations of your customers leads to improved customer confidence and improved brand awareness. When searching for ways to better manage opportunity costs, engineers need to take the time to properly examine product design and development, not just looking to make incremental changes to the overall design. As a CNC machine shop in Hillsboro, we can typically assist our customer with making minor modifications during the prototype design process in order to meet design requirements or your industry standards. When you know where to look, you can find opportunities to improve your existing factory workflow. Whether internally through the use of precision machining or outsourced by using contract machining services, you can find savings that can dramatically boost the bottom line. API/AMS has ample experience performing this type of work, and we have the systems in place to get any job done quickly and precisely. Having the ability to bring your product to market quickly provides you with an incredible edge over competition that still uses antiquated methodologies. The use of precision machining also provides more flexibility when it comes to making any changes due to customer requests or industry regulations. If you’re ready to experience the difference precision machining can make to your business’ bottom line, you need to contact API/AMS today. 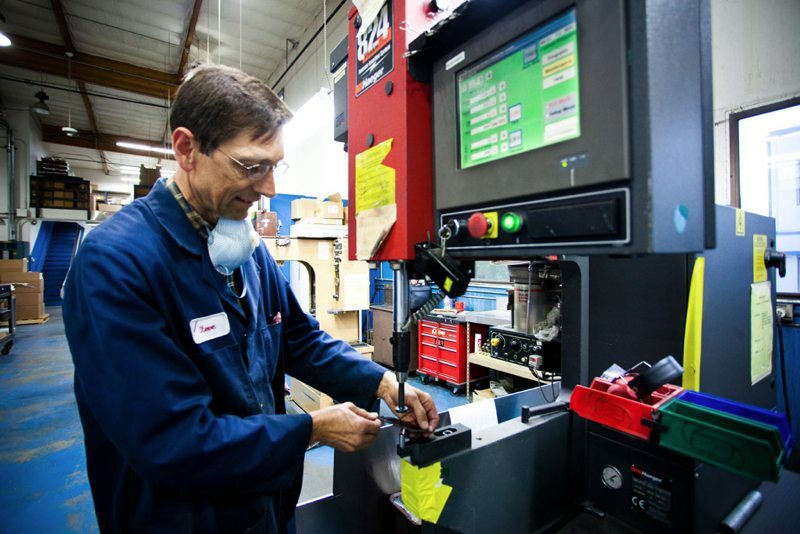 From our CNC machine shop in Hillsboro, our team of experienced machinists can provide the boost your business has been looking for.